I recently had the honor to sit down with Dr. Jane Chu, the new Chairman of the National Endowment for the Arts. 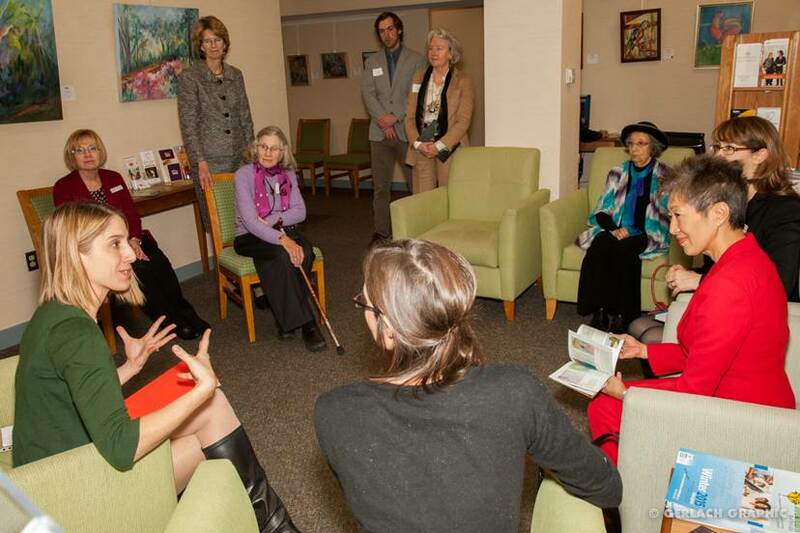 Dr. Chu was invited by the National Center for Creative Aging to visit the Phillips’s partner Iona Senior Services. She wanted to witness creative aging programs in action! During her site visit, we discussed the Phillips’s ongoing museum-education and art therapy partnership with Iona and the program’s positive impact on participants and their families. Her visit to Iona was timely–the NEA Arts Magazine‘s most recent issue highlights the innovative ways that organizations are using art as an instrument of healing.